Downy woodpeckers have black wings with white spotting and a white stripe down their back with a white underside. Males are larger than females and have a red patch on their nape which is missing in females. Both sexes have a conspicuous tuft of feathers (nasal bristles) above the bill. 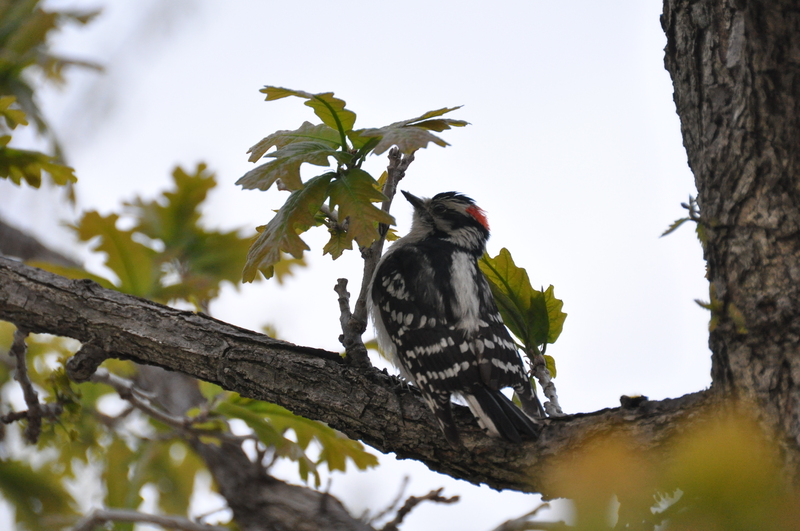 This is a photo of a male Downy woodpecker taken in the park. This entry was posted in Animals, Chicago. Bookmark the permalink.